Chelsea has a strong passion and talent for wedding planning and a true desire to work with people during such an exciting time in their lives. Her professional experience in the wedding industry began twenty years ago where she was planning weddings and events within a number of top hotels in Sydney, Brisbane, Canberra and London. This then led to her move into catering, working for a well-known Sydney caterer organizing high profile weddings and events at some of Sydney’s most unique venues. She has had the pleasure of organising over 400 weddings from 2 – 500 guests, each with a unique style and varying budget. In 2001 she won the award for the Best Function Co-ordinator at the Australia Bridal Industry Academy Awards. This award was voted by brides and grooms that Chelsea had the privilege of working with. The extensive knowledge and experience she has gained in the wedding industry over the years have been invaluable, along with the strong relationships she has with many amazing suppliers. In wanting to take her talents to a higher level, she combined this knowledge and passion with her own personal style and started her own company, Chelsea Jayne Weddings. A graduate of the International Hotel Management School, she obtained her qualifications in Hotel Management and this education and experience opened doors and presented opportunities in many different directions, but her love for weddings has lead her to Chelsea Jayne Weddings. In 2009 Chelsea was invited to become a tutor for a well known international wedding planning school offering her years of experience to students wanting to pursue a career in the wedding planning industry. In 2009 Chelsea visited the beautiful Island of Fiji and noticed what an amazing place this is to have a wedding. She visited all the Mainland and Mamanuca Island resorts looking at their wedding facilities, location, and accommodation for her future clients. 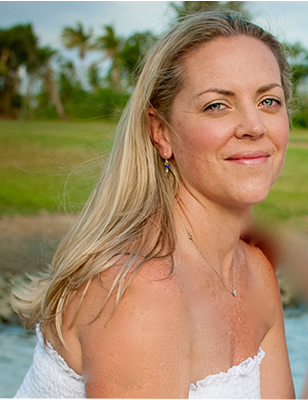 Over the last six years Chelsea has been specialising in destination weddings to Fiji building her relationships with the resorts and also local suppliers. Chelsea’s love for Fiji and it’s people have lead her to concentrate solely on this as the future for Chelsea Jayne weddings. Chelsea and her husband Jonathon were married in the Hunter Valley in 2004.